Which mobile device works best for you? Each has their own benefits, let us show you why. 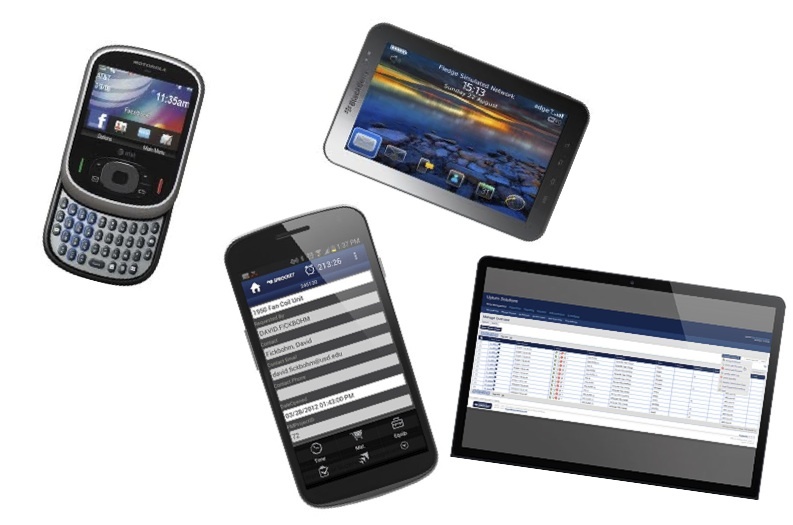 One of the great things about modern facilities management software is how easy it is to use it on mobile devices. Laptop computers, tablets, and smartphones can all be used with facilities management software, helping you make sure your asset maintenance information can be gathered quickly and efficiently no matter where the asset is. Just like it's important to make sure you choose the right facilities management software, it's important to make sure you outfit the right users with the right devices. Laptops, smartphones, and tablets are all ideal for some situations and less appropriate for others. Laptops may not be generating as much excitement at the moment as tablets and smartphones, but they do have their advantages. Generally, laptops have larger screens than other kinds of mobile devices, which makes them suitable for capturing loads of data as opposed to data collected from smartphones and tablets. Because of its ease of entering data and writing reports and e-mails on a laptop, this device is frequently the centerpiece of a mobile office setup. Although they are best known for their touch screen capabilities, tablets have some keyboard functionality as well. With larger screens than smartphones, they are well suited to tasks that require you to look at information in a bit of detail. In addition, the tablet is replacing the clipboard in situations where multiple users will be sharing a screen or filling out a form. Smartphones are the most portable of the mobile devices. Although they do not have as much storage space as do laptops and tablets, modern facilities management software is designed to function as well on a smartphone as it does on a laptop computer. Smartphones are ideal for situations where your employees must record minimal facilities management information on the go such as updating the status of a work order and closing the job. All of these devices can make it easier to maintain your facilities, whether you are managing one large site or several sites. Your company can maintain mobile offices and make it easy for your workers to use your facilities management software wherever your assets and facilities are located. Picking the right device for the job is a good way to make sure your facilities management operations run smoothly and efficiently. In some cases, it can be a combination of all three devices depending on the type of user. The hardware only works well if it is part of a great solution, Reduxo is here to help you find the best facilities management solution including hardware. Feel free to contact us for more information.